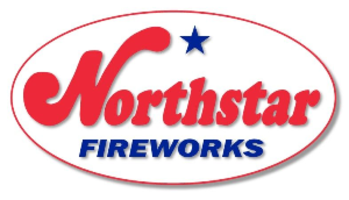 We bought Northstar Fireworks in 1986 and spent decades turning the tiny shop into one of the most reputable fireworks retailers and team of professional pyrotechnicians in New England and New York. 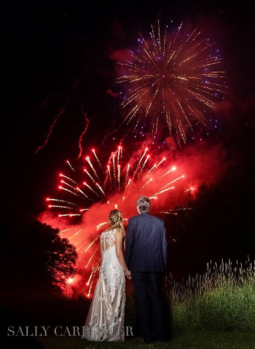 With more than 250 shows a year, we put on spectacular fireworks displays for all kinds of clients, including municipalities in Vermont and across New England and New York, ski resorts, fairgrounds, performance venues, race tracks and people who just want their special occasion to sparkle. We pride ourselves on our painstaking diligence to ensure the safety of all people and property involved with each of our events, our neighborly flexibility to give you just what you want and our ongoing research and testing to bring you the finest and most spectacular displays featuring the most breathtaking fireworks from around the world. There’s something magical about the way fireworks fill the sky with exploding shapes, luminous colors and triumphant finales full of crackles, booms and whistles. They bring communities together, make the hairs on our arms stand up and remind us of warm, summer nights watching the sky when we were kids. That’s exactly why we got into this business! 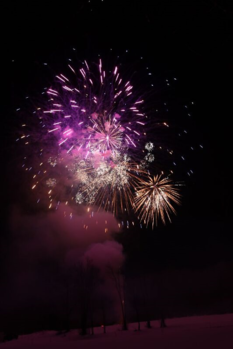 For more than 30 years, Northstar Fireworks has been the mastermind behind many of the spectacular displays you’ve seen at the most special events. Our safety-conscious aerial artists work with you to design a custom display for your event and budget. We also help you acquire all necessary permits and provide all applicable certificates of insurance. Having fireworks is surprisingly affordable, and our consultation and site visits are free. From surprise birthday parties and anniversaries, to corporate events to weddings, contact us to light up the sky at your next celebration. OUR SEASONAL LOCATION: The St. Johnsbury store is closed until May, but please either contact us or visit our East Montpelier location and we will be glad to fix you up with just the right display or fireworks. Hours: Monday through Friday, 8 a.m.-4 p.m.; Saturdays, open 10 a.m.-6 p.m.
Northstar Fireworks has been added to your trip.